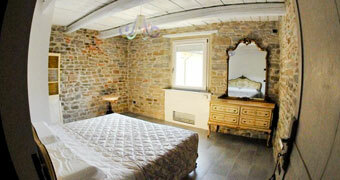 A charming and elegant relais among the hills of Monferrato, in Piemonte Region. 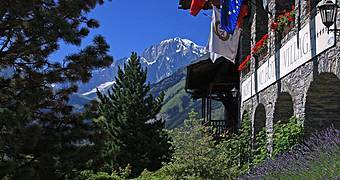 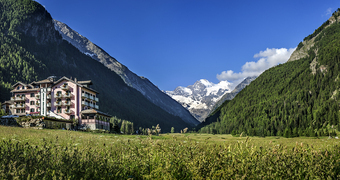 Welcome to a luxurious mountain retreat in the heart of Valle d'Aosta, welcome to Mont Blanc Hotel Village! 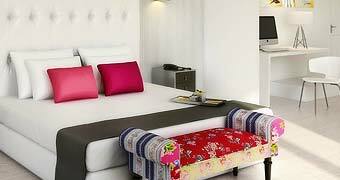 Technology and efficiency complement the charm of this world-class establishment, and the result is five-star service and total comfort. 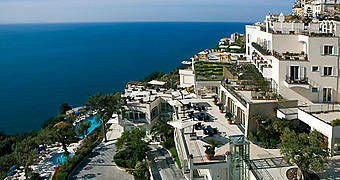 The Lefay Resort & Spa: bio-architecture, wellness, gourmet cuisine and breathtaking views of Lake Garda. 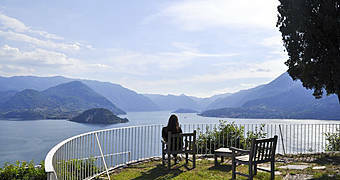 Laglio's Relais Villa Vittoria: the lakeside luxury you've been longing for. 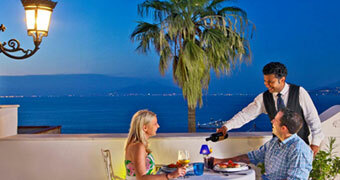 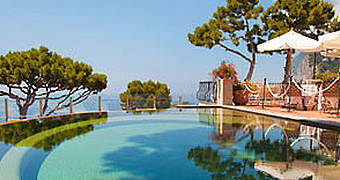 A suite on the shores of Lake Garda: luxury c/o Villa Onofria. 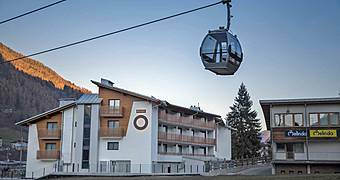 The Biohotel Hermitage is the Trentino's first Biohotel, immersed in the stunning landscape of the Brenta Dolomites. 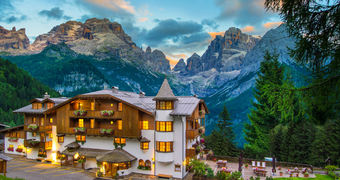 Ortisei's Alpin Garden Wellness Resort is the perfect place where to enjoy a rejuvenating holiday surrounded by the Dolomite mountains and the beautiful landscapes of Val Gardena. 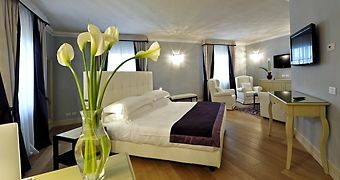 Merano's ImperialArt: an historic establishment transformed into a sophisticated art hotel surrounded by the mountains of Trentino. 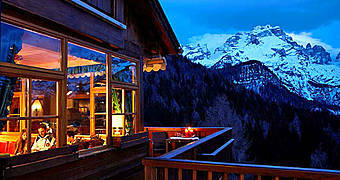 Your high altitude hideaway with gourmet restaurant and spa, in the Italian Dolomites. 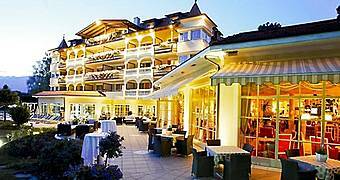 A hotel in the Dolomites which feels just like home - a home with a Michelin star restaurant and spa! 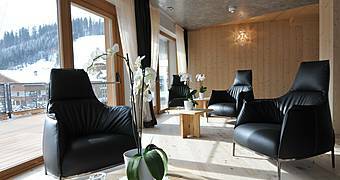 Want to combine a gourmet getaway with a skiing holiday or spa escape? 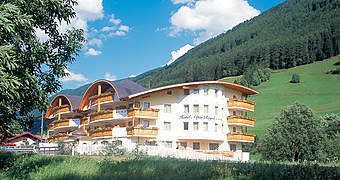 Berghotel Zirm, in Valdaora, Alto Adige. 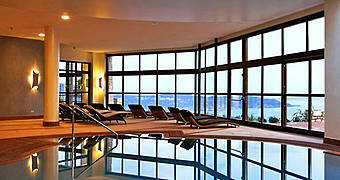 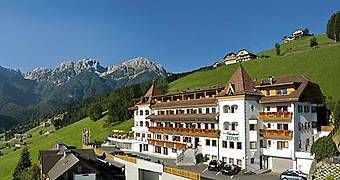 Gourmet cuisine, sport and spa in the Italian Dolomites: Hotel Majestic! 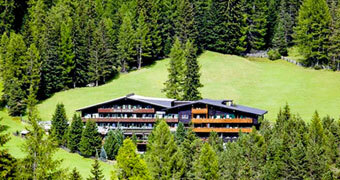 Green woods, Tyrolean-style, gourmet kitchen: welcome in South Tyrol! 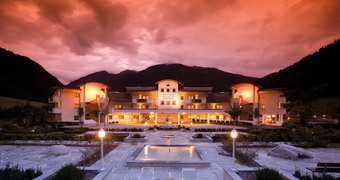 Monroc is a four star hotel which invites guests to discover Trentino in a unique and authenic setting. 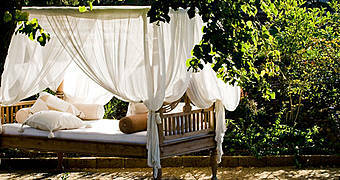 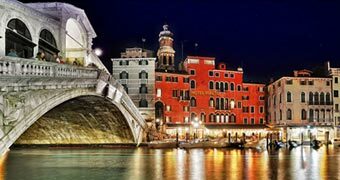 The Gritti is romantic - flamboyantly, exuberantly so, with its Venetian palette, canopy beds and woodwork. 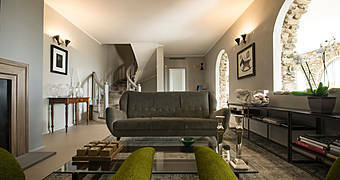 The faultless combination of designer interiors, contemporary art and attention to detail make Treviso's Maison Matilda the perfect urban hideaway. 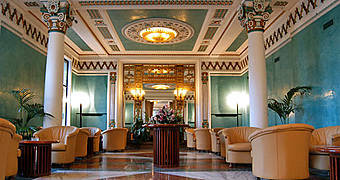 At Hotel Olympia Terme the thermal tradition of Veneto meets the principals of Feng Shui. 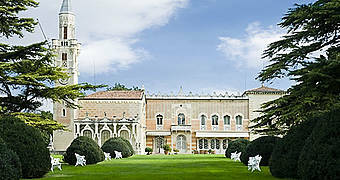 An immense park, magnificent works of art and the aristocratic charm of Villa d'Acquarone. 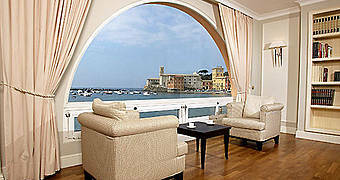 The magnificent view of the sea is just one of the reasons why Hotel Miramare is one of the Italian Riviera's most loved 4 star establishments. 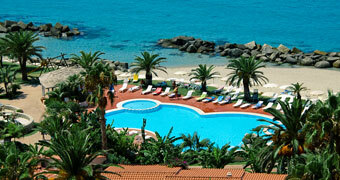 Fun in the sun: independent holiday apartments by the beach of Sanremo. 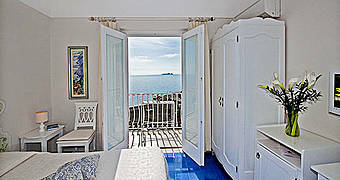 History, beaches and good food within steps of Cinque Terra? 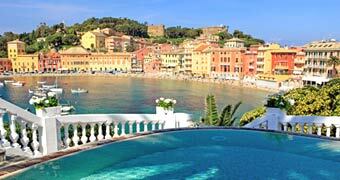 At period residence Sosta di Ottone III there's the Liguria you've been dreaming of. 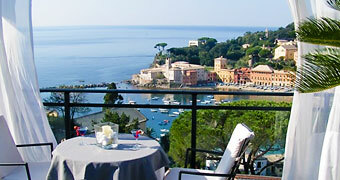 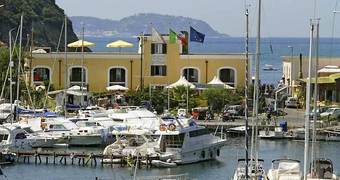 Your hotel by the Ligurian sea, in the beautiful Baia del Silenzio: Hotel Helvetia, Sestri Levante! 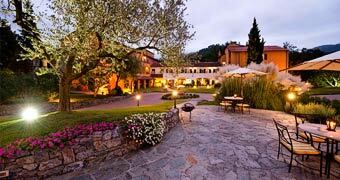 Hotel La Meridiana is a charming Italian Relais & Chateaux, in the countryside of Liguria: wellness area, traditional dishes and amazing landscape... you will totally fall in love! 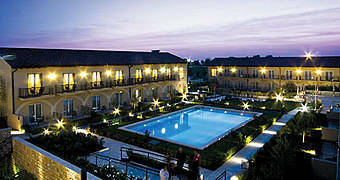 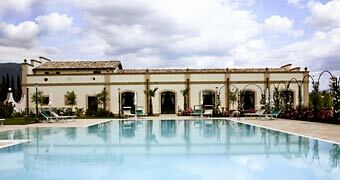 Oste del Castello, an elegant 4 star hotel with spa in the heart of Verucchio. 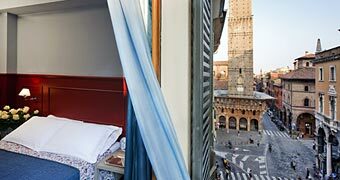 Bologna and an urban retreat at the foot of Bologna's famous "Two Towers"
Granduomo Luxury Apartments: the epitome of contemporary elegance, overlooking Florence Cathedral. 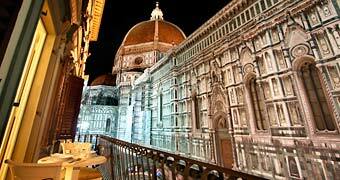 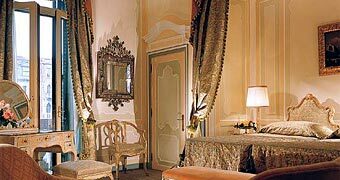 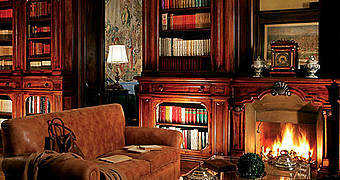 Hotel Roma, Piazza Maria Novella: timeless elegance and faultless service in the heart of Florence. 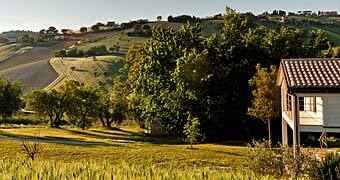 Experience the true essence of Tuscany at Borgo Lucignanello Bandini, period residence between the Crete Senesi and Val d'Orcia. 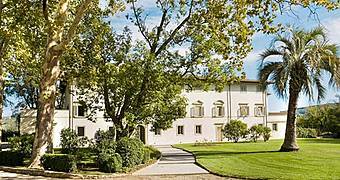 The marvelous wines of Chianti and the beauty of the Tuscan countryside are just part of the appeal of a vacation spent at Il Borghetto. 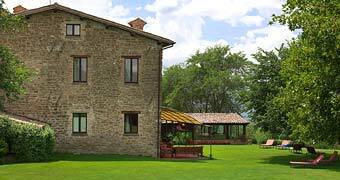 The history, landscapes and gastronomy of the Crete Senesi make Villa Armena one of Tuscany's most beautiful destinations spas. 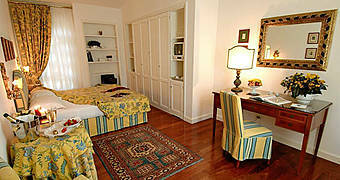 In the heart of Versilia, Locanda del Colle combines seamless contemporary luxury with traditional Tuscan hospitality. 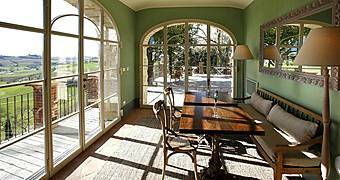 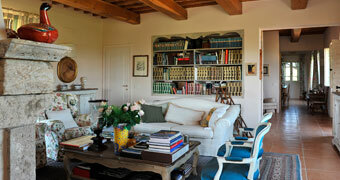 Villa Pitti Amerighi: the elegance of a patrician residence in the heart of the Tuscan countryside. 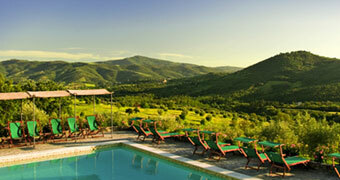 World class spa treatments, excellent cuisine, and one of Tuscany's most beautiful beaches. 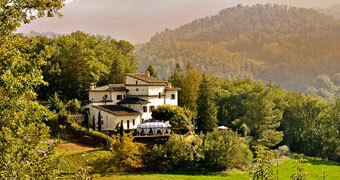 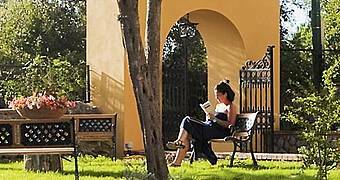 Beyond the great iron gates of Chianti's Hotel Villa Le Barone a tiny piece of paradise awaits. 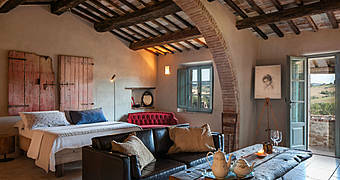 Locanda Rossa, Capalbio: when a passion for design and a love of the ancient traditions of Maremma meet. 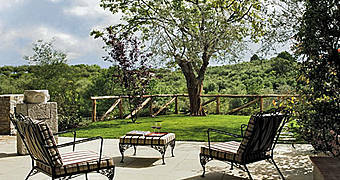 Amidst the vine covered hills of Chianti, the perfect place to live the Tuscan dream. 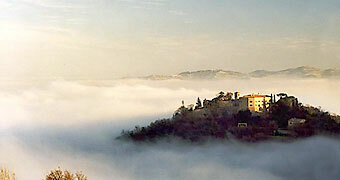 Once upon a time a small village called Amorosa, founded in the XIVth century. 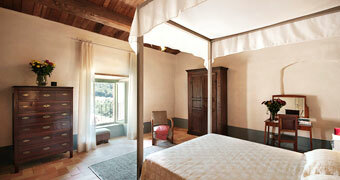 An historical inn complete with spa deep in the rolling countryside of Chianti. 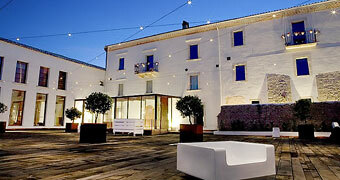 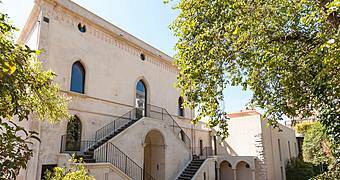 Charm and wellness in the historic heart of Colle Val d'Elsa. 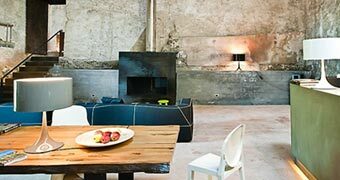 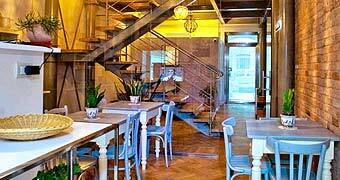 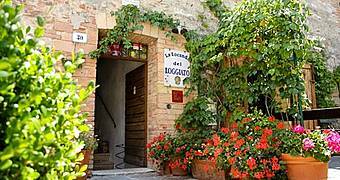 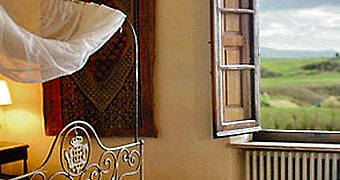 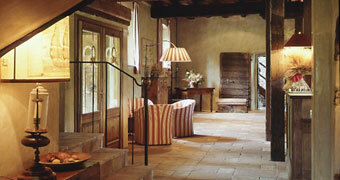 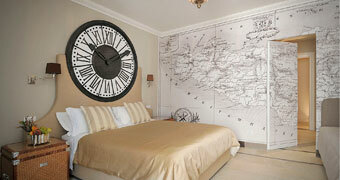 A 4 suite B&B in Tuscany with contemporary, shabby-chic interiors. 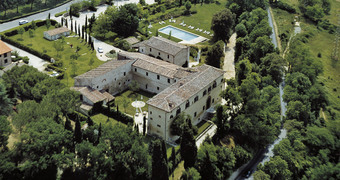 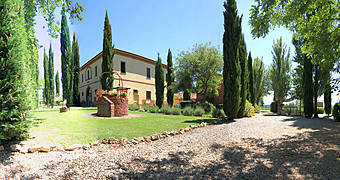 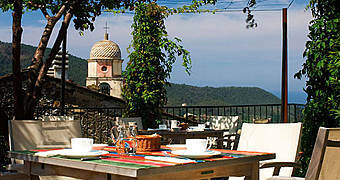 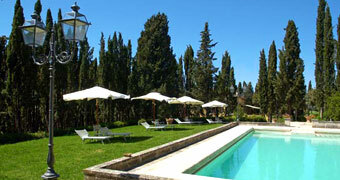 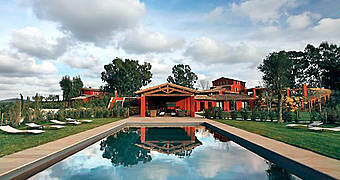 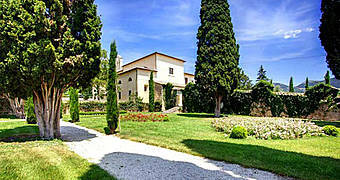 A luxury hotel beautifully located in Tuscan countryside overlooking Colle Bassa and Colle Alta. 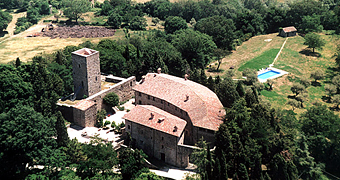 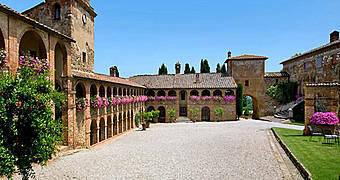 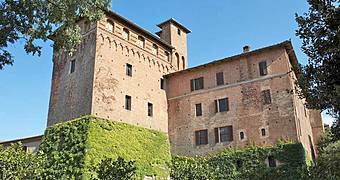 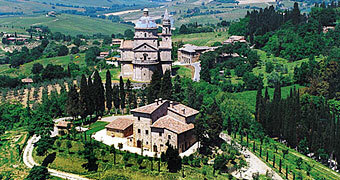 Castello di San Fabiano is an historic villa among the hills of Siena where to enjoy the "dolce vita of Tuscany". 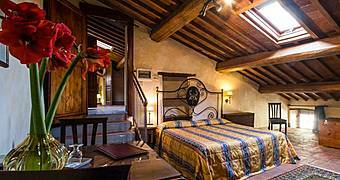 A luxury bed and breakfast located in the heart of Tuscan hills just a few kilometers from the beautiful beaches of Versilia coast: welcome to Villa Gilda. 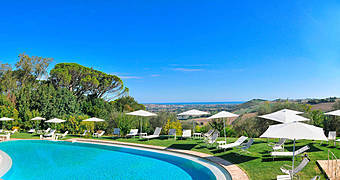 Not fa from Montepulciano, Villa Poggiano is an historic residence surrounded by a 15-acre centenary park located on a hilltop overlooking the gently sloping hills of the Orcia Valley. 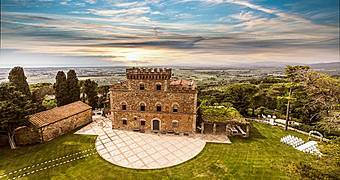 Located on a beautiful hilltop position, just steps away from the town of Montepulciano, Montorio boasts a stunning views over the Tuscan countryside of the Val d'Orcia. 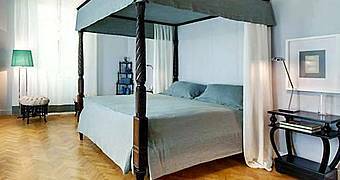 An eighteenth-century residence in the heart of the Val di Chiana with 6 apartments surrounded by a park of 2 hectares, a garden, a swimming pool and an hot tub, where you can enjoy the beauty of Tuscany in total privacy and relaxation. 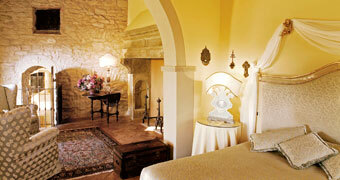 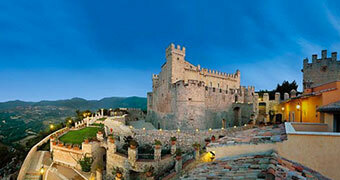 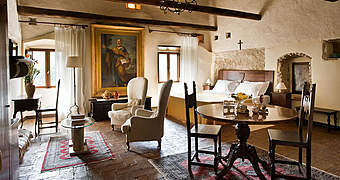 Castello di Petroia: the centuries old charm of a Medieval castle and the comfort of a luxurious contemporary hotel. 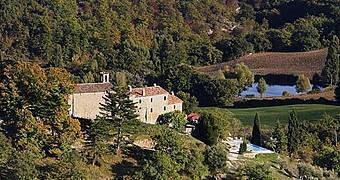 Borgo di Carpiano is a stunning period residence immersed in the beautiful Umbrian countryside, just minutes away from the medieval city of Gubbio. 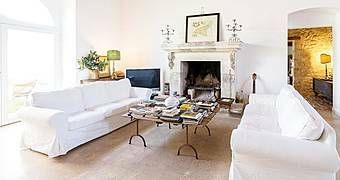 A finely restored 15th century villa in the countryside of Narni, Torre Palombara is one of Umbria's most beautiful period residences. 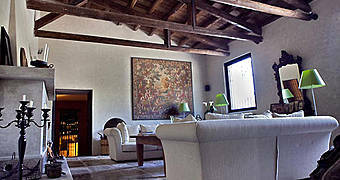 San Pietro is an elegant and simple building which dates back to the beginnings of the 17th century. 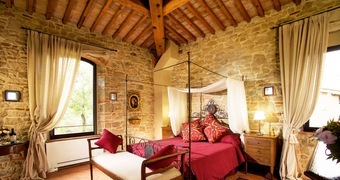 Tenuta di Canonica provides luxurious guest accommodation in the medieval city of Todi with a great view over the Tiber Valley and the Corbara Lake. 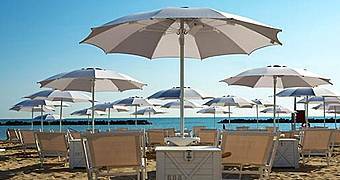 Modern interiors with a vintage twist, superb cuisine, a private beach, and a great spa: if you're looking for luxury on the Riviera Adriatica, you'll love Hotel Excelsior. 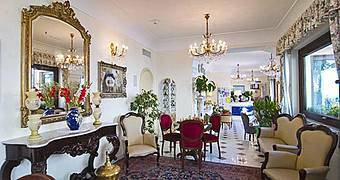 A splendid period residence, combining old world charm and contemporary luxury. 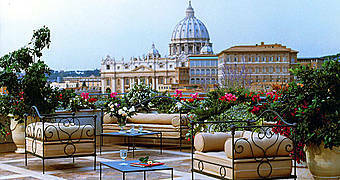 Classic Italian decor, contemporary comfort and a view of the St Peter's that you'll never forget: Rome's Atlante Star. 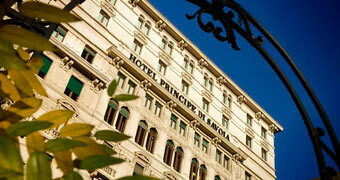 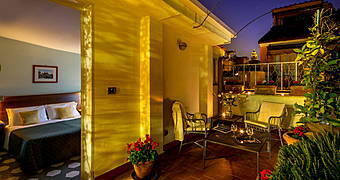 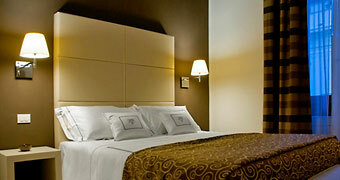 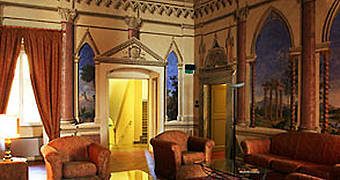 Hotel Centrale is a three star hotel located in the center of the Eternal City of Rome. 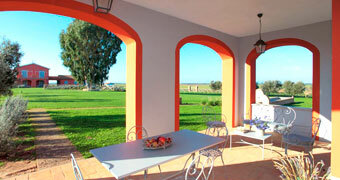 Piani della Marina: your apartments between Lazio and Tuscany to discover the magic of Maremma countryside. 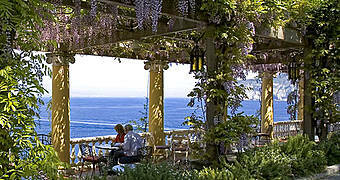 In the heart of a luxurious flowery garden framing the Faraglioni, Villa Brunella is a jewel on the island of beauty. 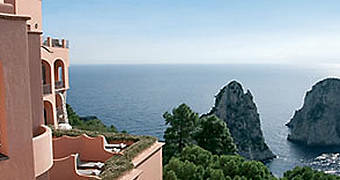 Culture and luxury: the key elements of the new exclusive Capri's hotel Villa Marina. 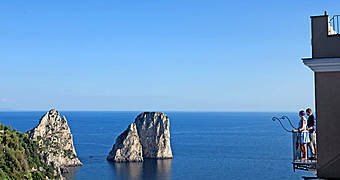 You'll have a hard time finding a more spectacular view of the Faraglioni rocks than that enjoyed by Capri's Hotel Luna. 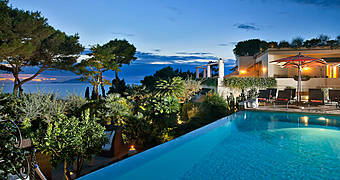 Villa Ceselle: simple luxuries for a dream holiday on the island of Capri. 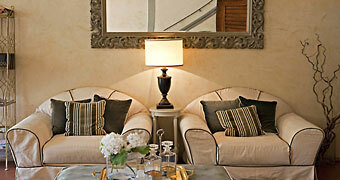 Contemporay design with a Mediterranean soul. 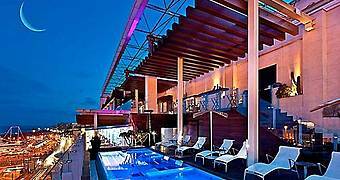 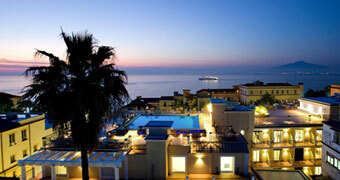 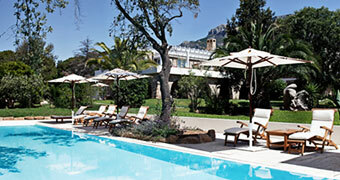 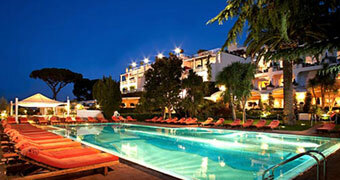 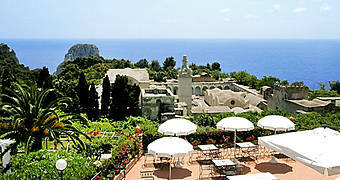 Capri Tiberio Palace Hotel & Spa, a stunning 5 star resort within steps of the Piazzetta. 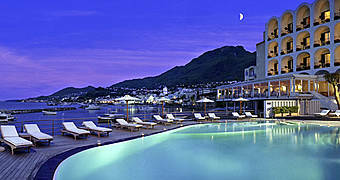 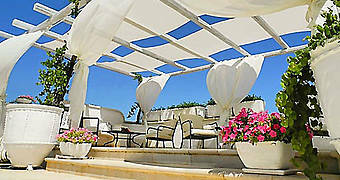 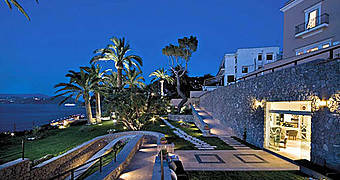 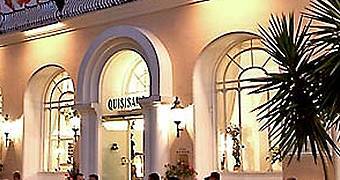 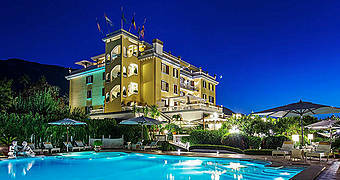 Mediterranean elegance and world-class facilities in one of the Island of Ischia's most luxurious hotels. 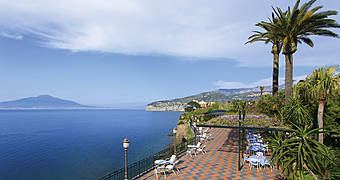 The Grand Hotel Cocumella, on the eastern site of Sorrento was originally a Jesuit monastery of the 16th century and became hotel since 1822 much of the tranquil and historical aura still remains. 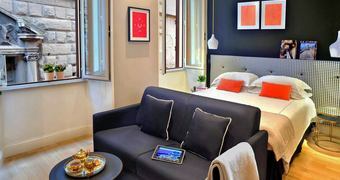 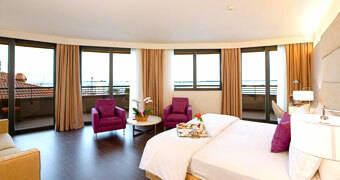 Romeo Hotel: precision design, contemporary art, and a new kind of luxury bang in the heart of Naples. 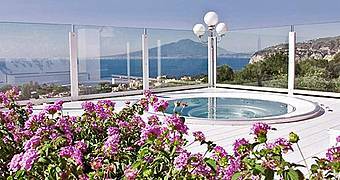 In the heart of the historic center of Sorrento, Grand Hotel La Favorita is an elegant 4 star establishment with spectacular views of the Bay of Naples. 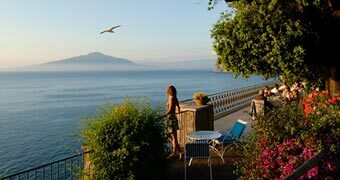 Gracious Italian hospitality, typical Mediterranean charm, and a spectacular view of the Bay of Naples: welcome to Villa Oriana of Sorrento. 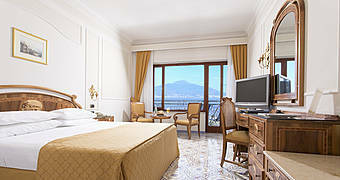 Hotel Cristina, a stunning Mediterranean hotel overlooking the Bay of Naples and the impressive profile of Mount Vesuvius. 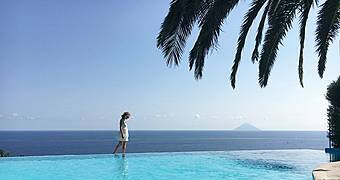 Luxury spa treatments, gourmet cuisine, and a shimmering Mediterranean sea draw a glamorous crowd to Ischia's 5 star Hotel Regina Isabella. 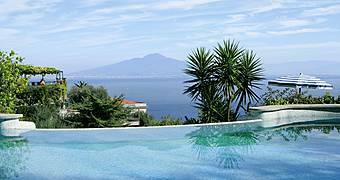 A superb 4 star hotel in Castellammare di Stabia, surrounded by a strikingly beautiful secular park that boasts breathtaking views of the hillside and the Gulf of Naples. 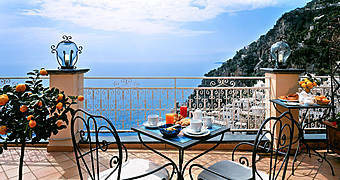 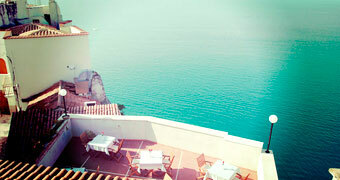 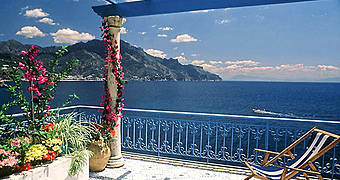 Nearby the centre of Amalfi, the hotel enjoys a panoramic coastal setting of incomparable beauty. 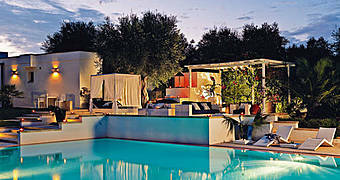 A place of infinite charm: Il Cannito. 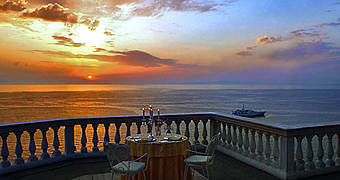 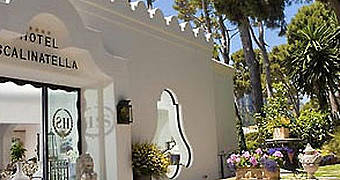 Villa San Michele: a delightful little hotel, situated directly above the sea of the Amalfi Coast. 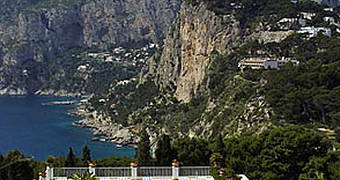 For more than 50 years has been one of the Amalfi Coast's most loved retreats. 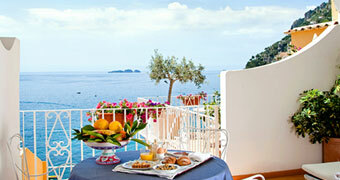 Charming little seaside hotel, surrounded by sweet smelling lemons trees and breathtaking views of the Amalfi Coast. 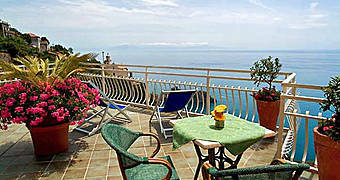 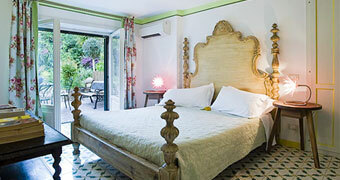 Charming Bed & Breakfast within steps of Positano's Spiaggia Grande beach. 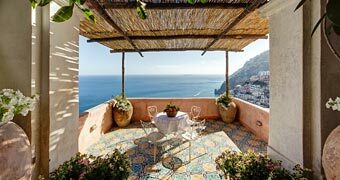 An elegant Mediterranean residence with spectacular views of the sea, Positano’s Villa Rosa is one of the Amalfi Coast’s finest guest houses. 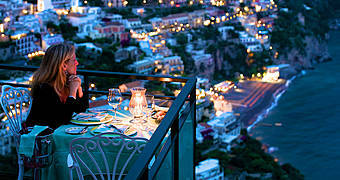 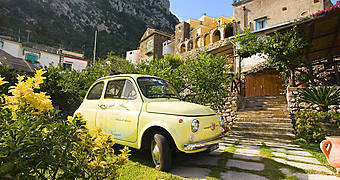 4 star luxury, exquisite Mediterranean cuisine, and a garden - in the heart of Positano! 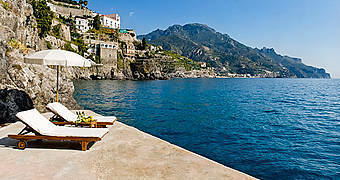 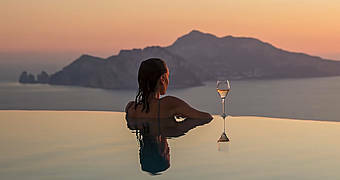 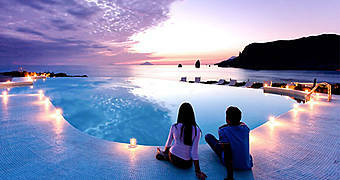 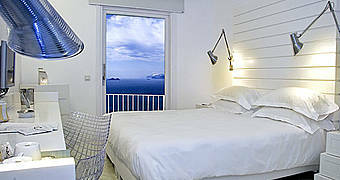 The ultimate in 5 star luxury amidst the timeless beauty of the Amalfi Coast and Vietri sul Mare. 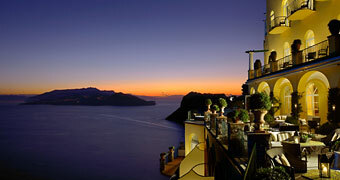 Experience the timeless beauty of the Amalfi Coast and the ultimate in contemporary luxury. 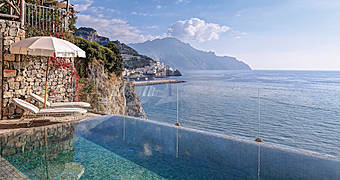 Looking for luxury on the Amalfi Coast? 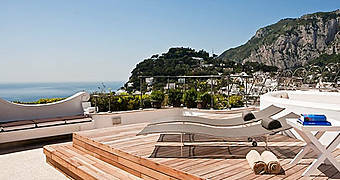 Luxury, sun kissed terraces, and a taste of the Amalfi Coast. 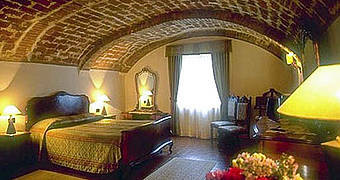 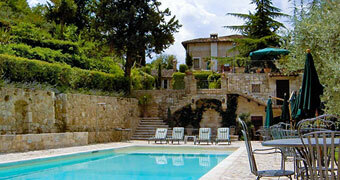 Relais Villarena, the ancient residence of the marquis of Villarena, in the center of Nerano. 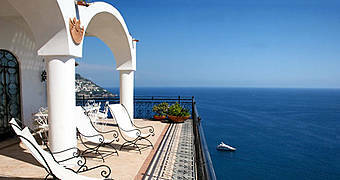 Traditional Mediterranean elegance in the heart of Positano. 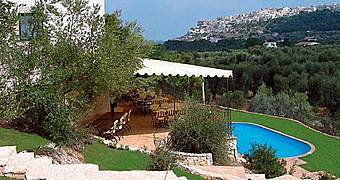 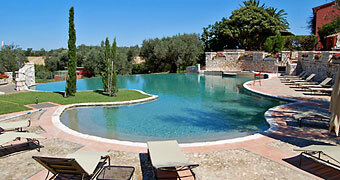 A luxury farmstay, half way between the countryside of the National Park of Gargano and the beaches of Peschici. 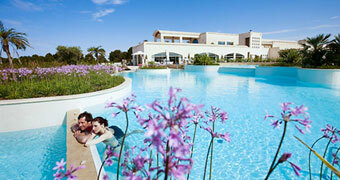 The perfect place where to experience the ancient traditions of Puglia and the luxury of a 5 star hotel. 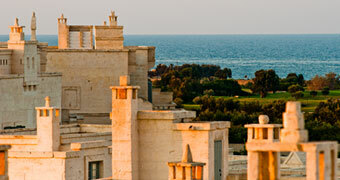 Experience 5 star luxury, excellent cuisine, and the sea of Puglia at Masseria Torre Coccaro. 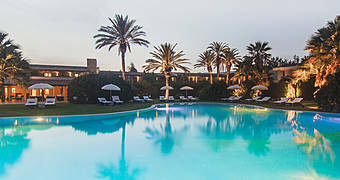 Borgo Egnazia: a luxury resort designed for all those eager to experience the hospitality, cuisine and seashore of Puglia, plus a world-class spa and professional golf course. 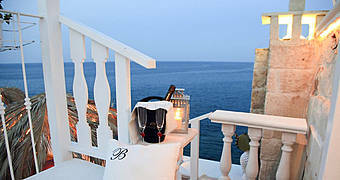 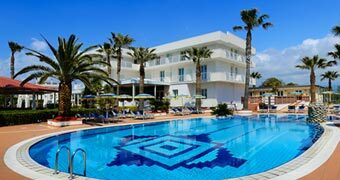 In southernmost Salento, guests staying at Santa Maria di Leuca's Grand Hotel L'Approdo enjoys fabulous views of both the Adriatic and Ionian seas. 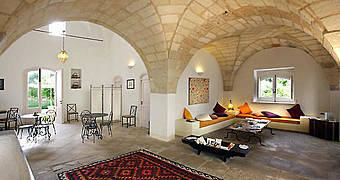 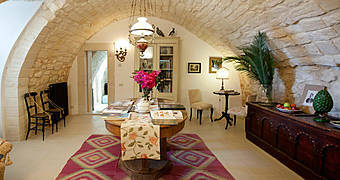 Experience the essence of Salento at Palazzo Guglielmo, a charming guest house close to the city of Otranto. 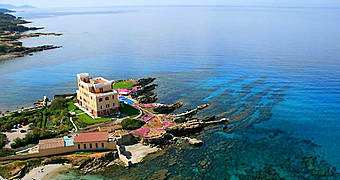 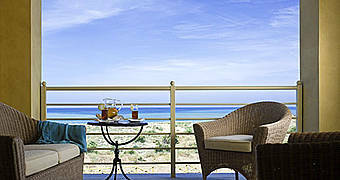 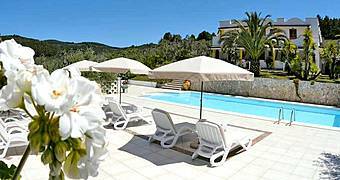 5 star seaside luxury, delectable Mediterranean fish cuisine and champagne picnics on the beach: San Domenico a Mare. 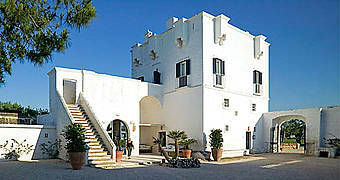 The countryside, the sea, an old stone farmhouse and the traditions of Puglia: Masseria Salinola, Ostuni. 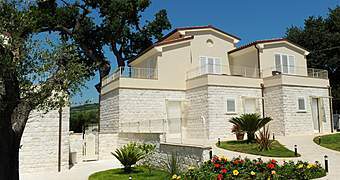 B&B Poggio di Luna is located in the heart of Parco Nazionale del Gargano: the perfect location to enjoy the beauty of the countryside as well as the wonderful beaches of Peschici, just a few kilometres far away. 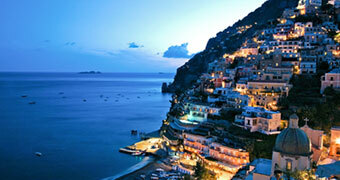 An unforgettable Italian beach holiday? 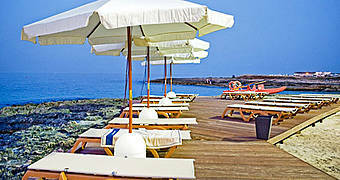 Go to sunny Salento and the family-friendly eco-resort by the sea! 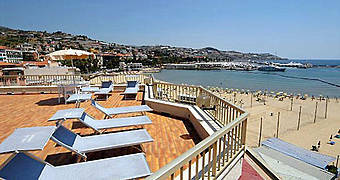 A stylish seaside guest house with 4 designer suites, in the historic center of Reggio Calabria. 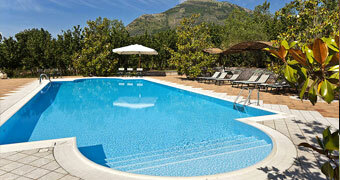 Mandranova resort combines traditional Sicilian architecture and contemporary elegance. 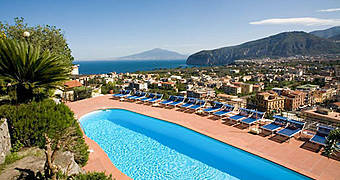 The golden beach of Alcamo, the crystal clear Mediterranean sea, the stunning scenery of the Bay of Castellammare, and Hotel La Battigia: the ingredients for your dream holiday in Sicily. 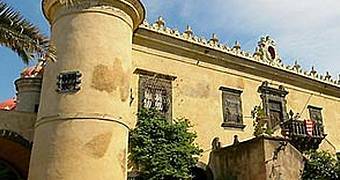 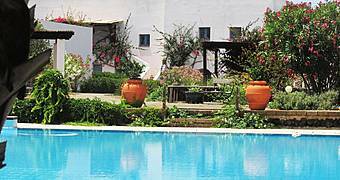 Baglio Villa Sicilia: a period residence surrounded by the history and legends of Selinunte and the Sicily of the ancient Greeks. 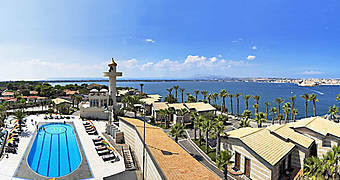 5 star luxury and gourmet cuisine, a gorgeous beach and an unbeatable view of Ortigia: welcome to Grand Hotel Minareto, Siracusa's finest seaside resort. 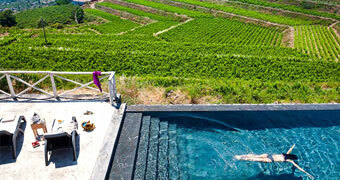 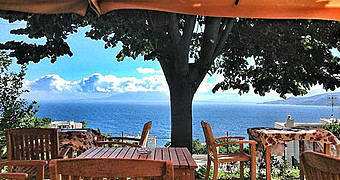 Vineyards, the sea, a panoramic swimming pool and relax on the slopes of Etna. 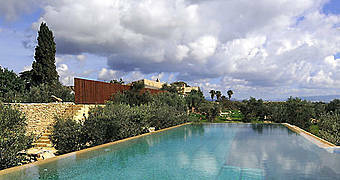 Baroque and Sicilian cuisine in the heart of Noto. 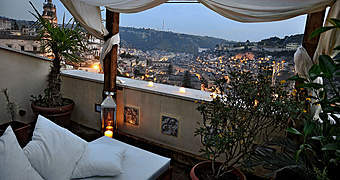 Two charme residences in the heart of Modica, the Sicilian Baroque city. 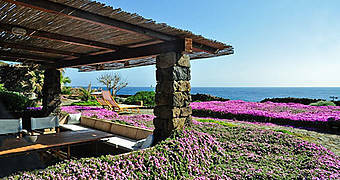 Experience traditional farmhouses and unique stone "dammusi" in Pantelleria. 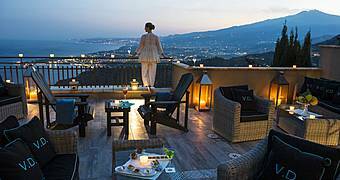 Your retreat in Taormina to enjoy spectacular views of the Bay of Giardini Naxos and Mount Etna, Sicily. 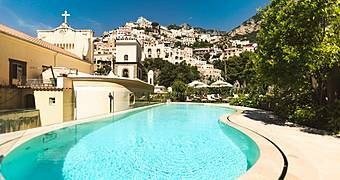 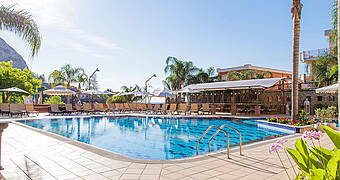 A very luxurious hotel just steps away from the sea of Giardini Naxos in Taormina where to relax at the panoramic swimming pool with sun lounge area and enjoy the finest Sicilian cuisine.